The stomach contains hydrochloric acid which helps to digest your food. Sometimes your stomach produces too much acid. 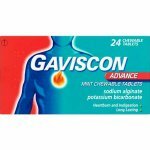 This excess acid can lead to the conditions known as indigestion and heartburn. 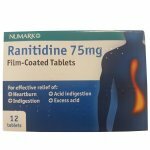 The active ingredient in Zantac 75 is ranitidine and belongs to a group of medicines called ‘H2-blockers’. 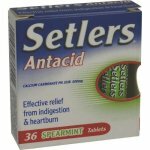 It works on the root cause of the problem by preventing your stomach producing too much acid. 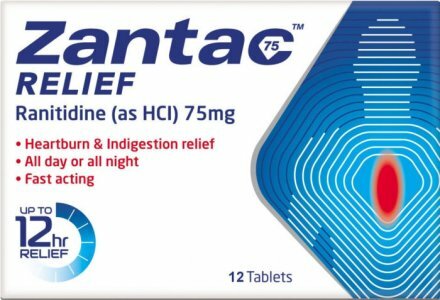 One Zantac 75 tablet gets to work fast and can control excess acid for up to 12 hours, to bring you long lasting relief. Swallow one Zantac 75 tablet whole, with a drink of water, as soon as you have symptoms. If symptoms persist for more than one hour, take another tablet. To prevent symptoms associated with eating and drinking, take one Zantac 75 tablet half to one hour beforehand. Do not take more than four tablets in 24 hours. Zantac 75 tablets are not recommended for children under 16 years of age. 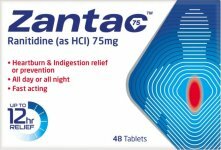 Most people taking Zantac 75 tablets find they cause them no problems. 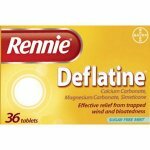 Some side effects are even less likely when you only take the tablets occasionally. 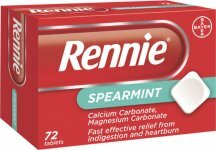 As with all medicines some people may be allergic to them but this is very rare with Zantac 75 tablets. The usual allergic reaction is a skin rash or sometimes swelling of the eyelids, face or lips and some people have noticed sudden wheeziness, pain or tightness of the chest or have felt faint or feverish, or collapsed. In this case stop taking the tablets and tell your doctor immediately. Do not take tablets for more than 2 continous weeks, consult your doctor if symptoms persist. Ranitidine (as hydrochloride),microcrystalline cellulose, magnesium stearate, hypromellose, iron oxide (E172), titanium dioxide (E171) and triacetin.